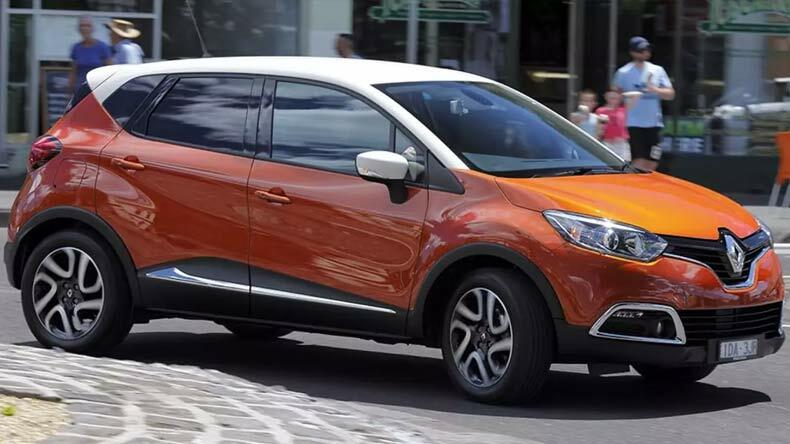 Renault Captur launched at Rs 9.99 lakh; will it find ground in Indian market? The highlight for Renault's Captur will remain its dynamic styling along with 50 premium features which will be luring the buyers across the nation. A few of the features offered by Renault in Captur include projector headlamps, LED daytime running lights and an integrated audio system. There are also a bundle of features which will come as standard in all the variants offered by the French automaker. The year 2017 has surely been the year for Sports Utility Vehicles (SUV). We are not saying his just because we love them but, based on the figures, people’s choice of vehicle has surely sifted from hatchbacks to SUVs. The launch of one of the most awaited SUV — Captur, by the French automaker — Renault, is surely a much needed boost to the Indian SUV market. On Monday, Renault launched Captur, at an introductory price of Rs 9.99 lakh. The pricing of the car and the availability of features in this car is surely expected to give dent to the rising sales figures. In India, the Renault’s Captur has been priced between price between Rs 9.99 lakh and Rs 13.88 lakh. For now, Renault launched Captur with two engine options, Petrol and Diesel. The Captur will be powered by 1.5 litre capacity engine. While manufacturing Captur, the Renault gave much importance to its fuel efficiency. The Captur will have a 5-speed transmission, for its petrol engine, which will be delivering a mileage of 13.87. On the other hand, the diesel engine will have 6-speed transmission, which will deliver a mileage of around 20.37 kmpl. Commenting on the much-anticipated launch of the Captur, Renault India’s Operations Country CEO and Managing Director Sumit Sawhney it is one of the best times for Captur to make an entry into the Indian SUV market. He further added that the Renault’s Captur will be looking to tap into the fast growing SUV segment in India. The highlight for Renault’s Captur will remain its dynamic styling along with 50 premium features which will be luring the buyers across the nation. A few of the features offered by Renault in Captur include projector headlamps, LED daytime running lights and an integrated audio system. There are also a bundle of features which will come as standard in all the variants offered by the French automaker. The stylish Captur’s petrol variant has been priced economically keeping the likes of Indian drivers. The Petrol variant ranges from Rs 9.99 lakh and Rs 11.69 lakh. On the other hand, the diesel variant ranges from Rs 11.39-Rs 13.88 lakh. Being priced economically, the newly launched Captur will be fighting its way into the automobile industry in India. Captur will be competing neck-to-neck with Hyundai’s Creta, Mahindra’s Scorpio and also Ford’s Ecosport (which was re-launched in the market with a facelift) and Maruti Suzuki’s S-Cross which is currently leading the market with its unique design and bold looks. In past, Renault had struggled to make a mark in the industry but, post the launch of Duster, Renault found some ground in the Indian automobile sector. Renault is currently expanding its sales network with over 300 outlets in 2017, up from 260 last year. With the number of SUVs being introduced every few months, buyers are surely being spoilt for choice. And with the large number of options available in the market, finding ground in this competitive SUV market will surely be something to look out for Captur.